When it comes to personal protection products, few companies come close to the style and power of Damsel In Defense. From stun guns to striking tools, Damsel in Defense has everything you need to protect yourself and your loved ones. What is Damsel in Defense? 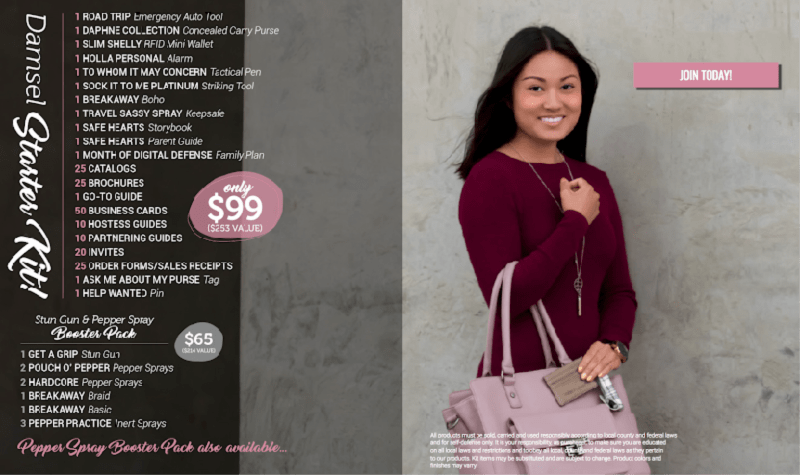 Damsel in Defense is a direct sales company that focuses on ways for women to have a non-lethal defense system available to protect themselves and their children. Their goal is to produce and provide a product line that is made for women to easily carry so that they will always be equipped, empowered and educated should the need arise. Damsel in Defense is about equipping women with the tools to not only keep us safe but to give us the confidence to know we have a way out if we ever do feel threatened. 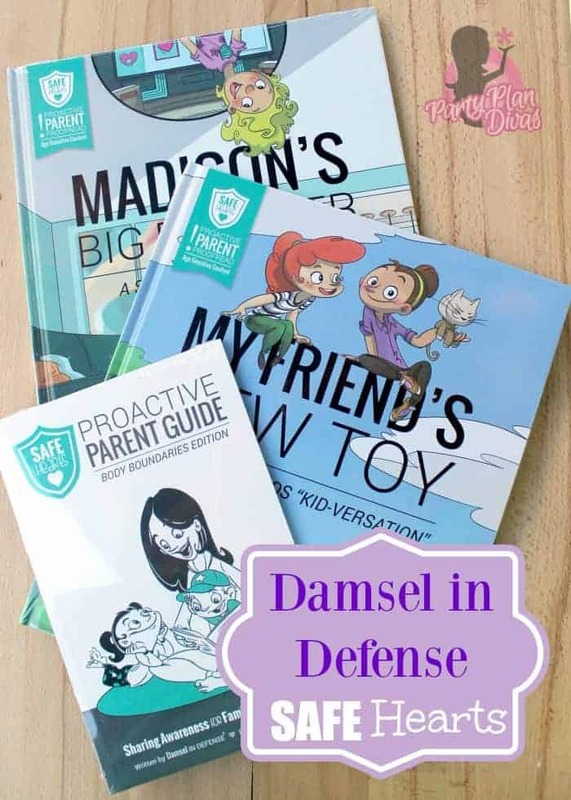 Whether you are at home or celebrating downtown with the girls, Damsel in Defense has the products and fact-based education that can and does save lives! Damsel in Defense Products range from pepper sprays and stun guns to conceal carry purses and protection jewelry. They even offer a line of children’s products to help teach children the importance of personal safety in a way that is gentle and age appropriate. You can host a Damsel in Defense Empower Hour to learn valuable tips for self-defense while earning free and discounted products. As a Damsel in Defense Hostess, you can earn up to 20% of party sales and six items of your choice half off! Founded in late 2011 Damsel in Defense has welcomed thousands of Independent Consultants known as Damsel Pros nationwide. Independent Damsel Pros use the Companies mission of Equipping, Empowering and Educating women by helping women host parties with their friends to educate them on the products. They also actively encourage them to also participate in self-defense courses that may be offered in an area near them. The Damsel in Defense Starter Kit starts you off with everything you need to get started in your business. Independent Damsel in Defense Pro Deb Bartlett sent in one of their brand new products to be featured in this year’s Diva Holiday Gift Guide. 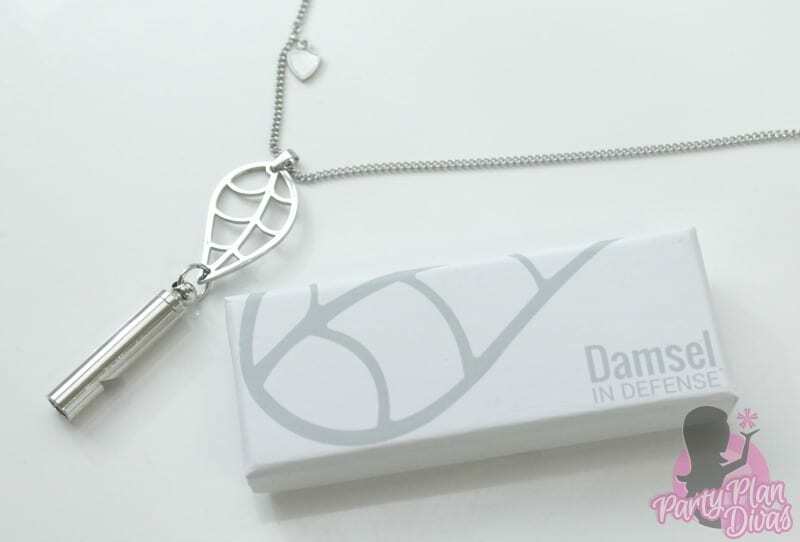 The Damsel in Defense Leaf Me Alone Necklace is a whistle pendant necklace that is as functional as it is fashionable. Leaf Me Alone Necklace is a silver whistle necklace that has a beautiful little leaf and shield charm. This whistle necklace produces a piercing 120+ decibels and hangs on an 18″ chain. Check out Deb’s Website to learn more about how you can get involved with Damsel in Defense. Independent Damsel in Defense Pro Deb Bartlett is offering one lucky reader your very own Leaf Me Alone Necklace! You can enter using the RaffleCopter widget below. Good luck!